Michael Hauge's Story Mastery / Category Archive for"Love Stories"
The causes and effects of one’s identity are brilliantly illustrated in Matt Damon and Ben Affleck’s award-winning screenplay Good Will Hunting. It’s a wonderful example of a hero living an emotionally safe existence and how he gradually finds the courage to abandon that identity to achieve real fulfillment. Send your questions to Michael and he'll create a Q & A Article specifically for your question! Bonus prize for signing up! Pick the boxes that best describe you. 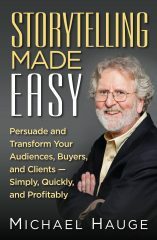 Signup for the Story Mastery VIP Email List and get Michael Hauge’s Key Story Questions via email!